DIFFA (Design Industries Foundation Fighting AIDS) annually holds an event called Dining by Design, which brings together internationally renowned talent to create dining installations to raise funds for fighting HIV/AIDS. These dining environments set the stage for five days of fundraising, culminating with an actual dinner held in all the installation booths. The Lab was commissioned by the furniture design company, Roche Bobois, to create an installation based around their new and upcoming marble tables. 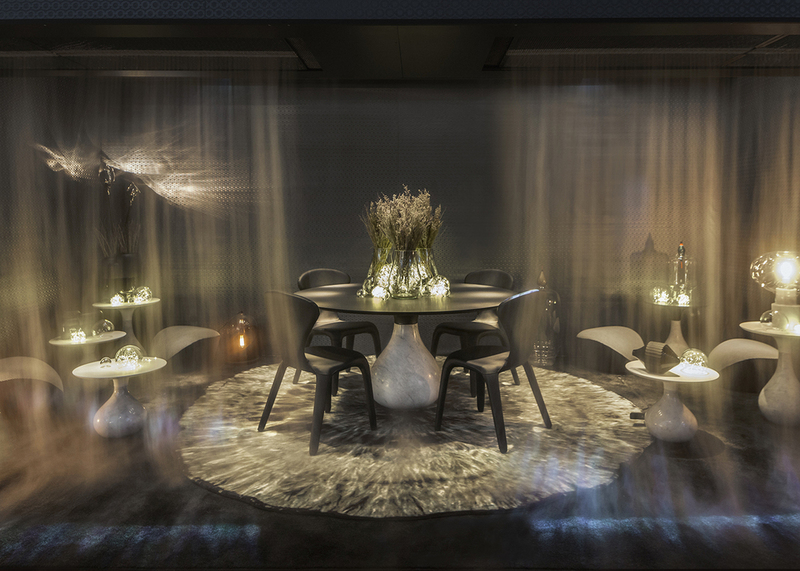 The designer’s inspiration for the tables was a frozen droplet of water, which led us to base the narrative of the booth around various states of water. 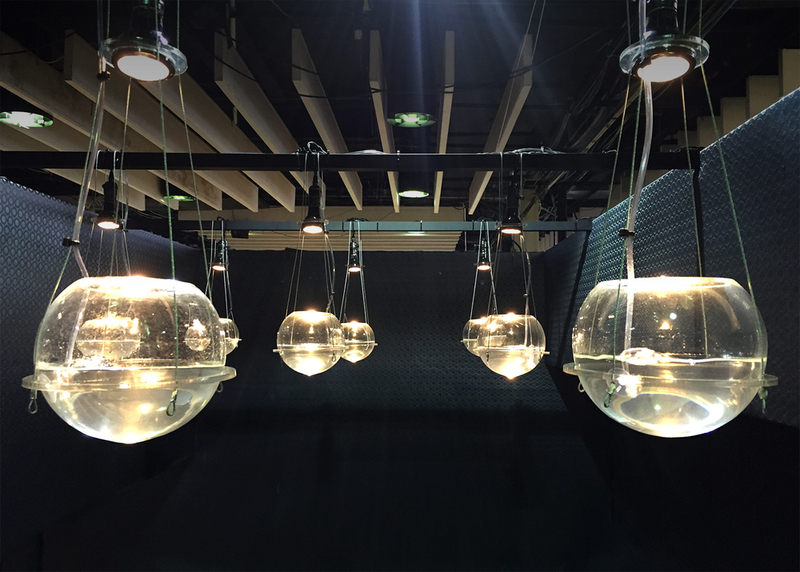 If tables represented frozen drops, liquid water was placed in the custom bubbling pendant lights to create caustic reflections, and two fogscreens were used as water in its vapor state.The fogscreens also were utilized to project abstract representations of guests interacting with the booth via motion tracking devices. The sensual mood of the booth, and its interactive and experiential nature received acclaim at the event.